1 in 8 southwestern Wisconsinites struggle with real hunger every day: that means more than watering down a meal to stretch another day, it means crumpling up paper to put inside a child’s brown bag to avoid embarrassment at school. The Second Harvest Food Bank of Southern Wisconsin’s mission is to end hunger through community partnerships and has succeeded in putting more than 100 million meals on the tables of Madison-area families by coordinating the work of volunteers and donors together with hundreds of local hunger-relief charities. To assist in that mission, Second Harvest Madison hired NMC to redesign and build a modern, mobile-responsive website that integrated Blackbaud software for donations and Google Calendar for events. The old website wasn’t getting it done by a few different metrics. First, Second Harvest Madison has a ton of great content: articles, updates, impact data, and newsletters to name a few. But the old design didn’t take advantage of this and food banks staff needed a better way to show all of it off in an attractive way. The all-new redesign not only makes bold use of their photography assets but is now more consistently aligned with the national Feeding America brand. Second, food banks know that the population who take advantage of their services are much more likely to have access to a mobile device rather than a home computer: that’s why it was essential that the website made it easy to donate, learn about programs, or find food while browsing on a phone. The new website was designed from the ground up to be fast and easy to use on a mobile device, including the general donation form powered by Blackbaud, which presents a different and simpler form to streamling the giving process. 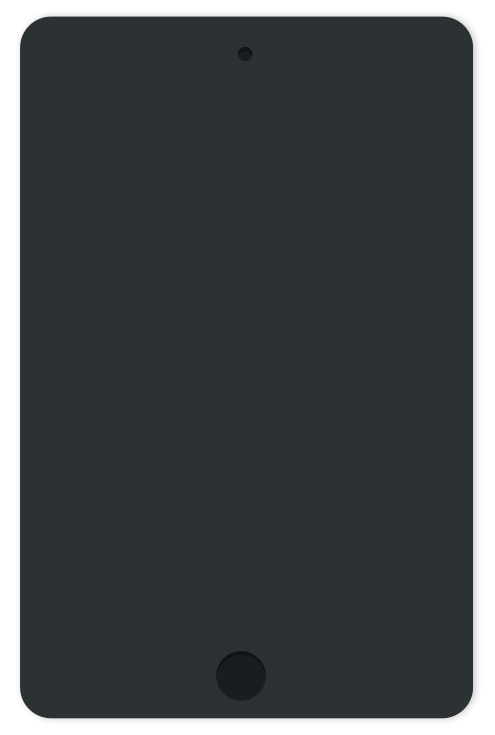 Configuring the Blackbaud donation form for a superb mobile experience was especially challenging. Online forms in general are tricky but knowing that a visitor is trying to enter a lot of detailed (and sensitive) information from a handheld device meant re-working entire parts of flow. The foremost goal was to be easy to use on mobile devices not just for families looking for food services but for supporters wanting to make a donation as easily as sitting at a desk. 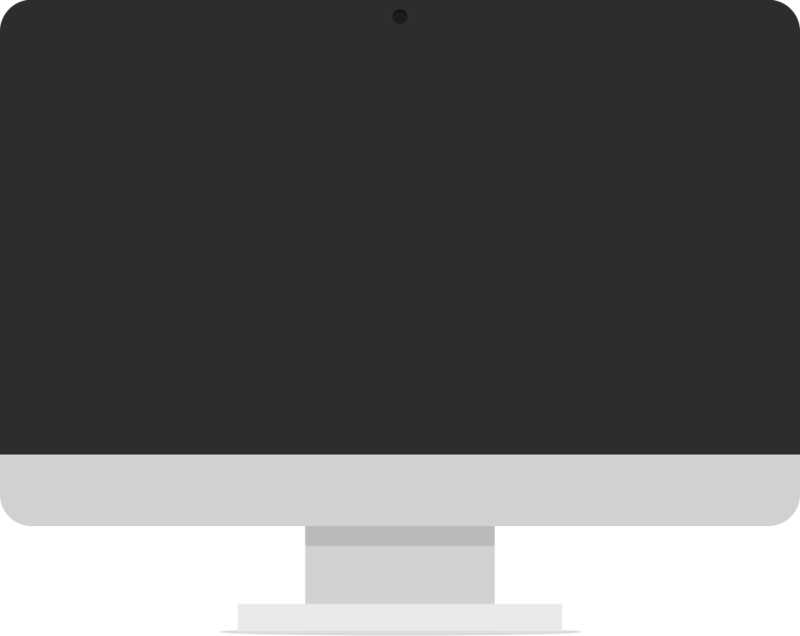 To that end, NMC created a new donation template in Blackbaud that targets different devices. 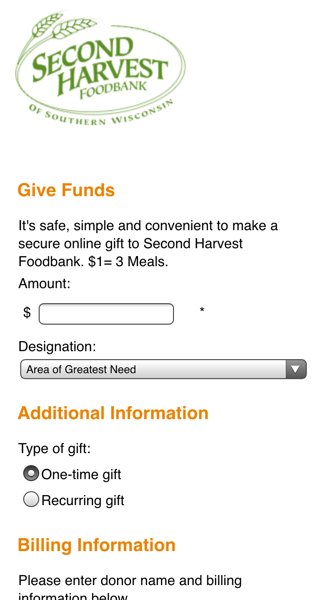 Desktop users see a version of the form with more robust giving options (like allowing users to select how many meals they want to donate) while mobile users see a stripped-down version of the same form. 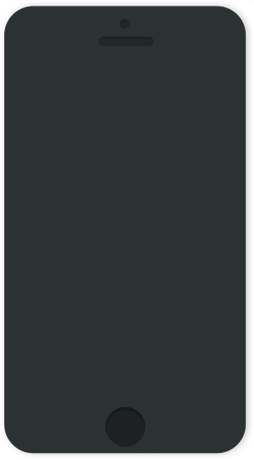 The mobile version not only looks great but works great in that it drives potential donators quickly through the donation process by removing non-essential options. 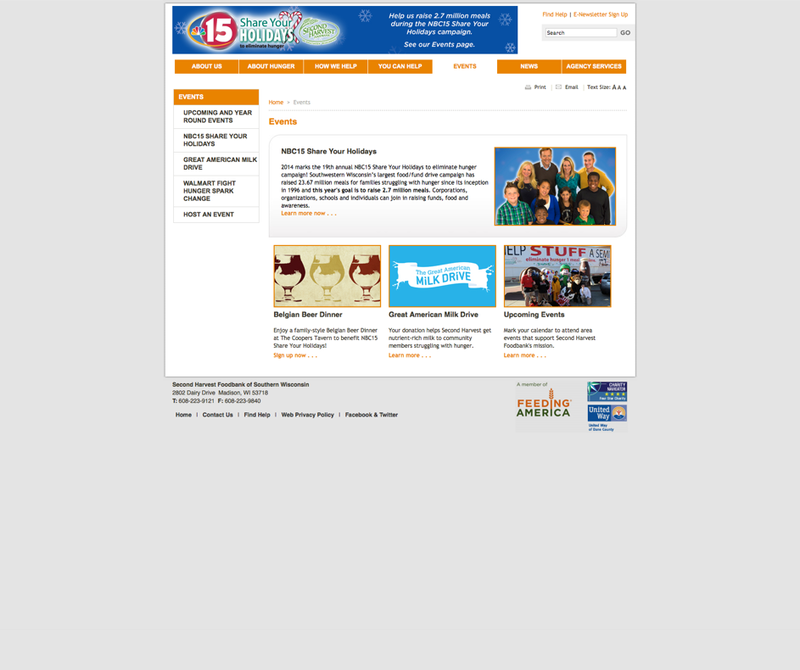 Second Harvest Madison runs a lot of programs and promotions — such as partnering with the local NBC affiliate — but the old content management software didn't lend itself well to organizing or displaying those well. The staff needed to be able to make changes easily ranging from small text edits to updating news to custom sign-up forms to building out whole new sections. NMC build the new Second Harvest site on the HiFi CMS and now they have all the flexibility and publishing power they need. HiFi lets admins manage their Featured and Ongoing Events schedules easily which is useful, for example, in order to let visitors know that every Thursday the local Subway sandwhich shop will donate a portion of its profits to the Food Bank or when the mobile pantry will be in their neighborhood. Internally, the client uses Google Calendar and because its pulled into HiFi automatically, and can read and write from the CMS, the result is that food bank staff don't have to keep track of events in more than one place. Easier management means more accurate data and a better user experience. But designing the navigation to accommodate this much content was a challenge. It was important to Second Harvest that we employ a horizontal menu for the primary and secondary navigation. Typically, secondary navigation is accessible via dropdown menus when you hover with a mouse but our goal was to maintain the same horizontal layout. 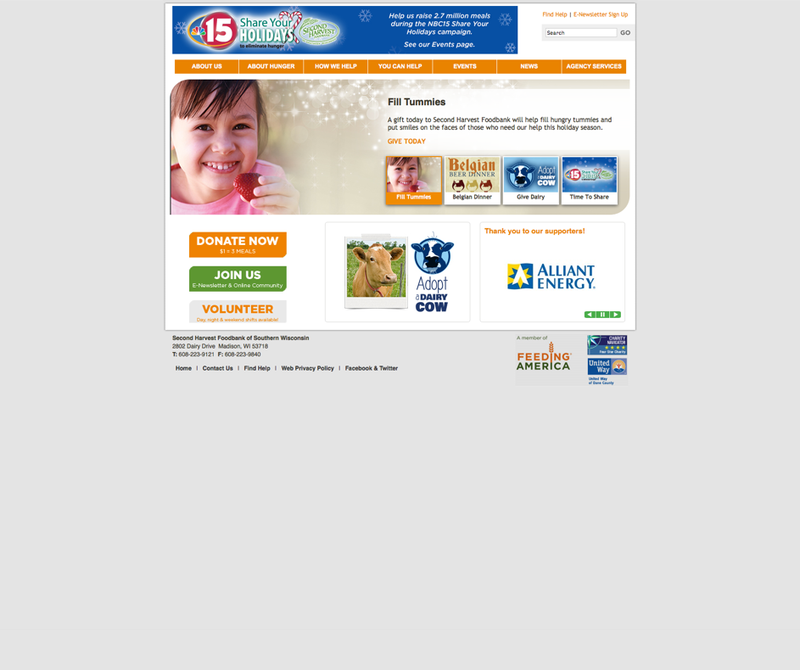 But some pages require a third level of navigation, such as the giving options under the 'Give Funds' page. To solve the layout problem, we implemented a right-side navigation schema that complements the design well and gives food bank staff the flexibility to add and remove pages as necessary. More than anything, the work of a Food Bank is to connect hungry families with local resources. 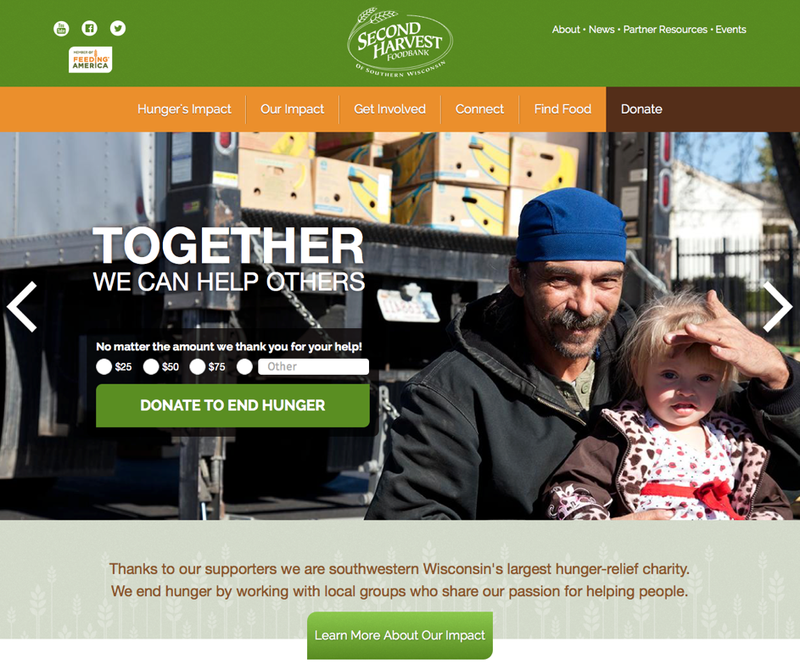 The Second Harvest Food Bank of Madison knows that to accomplish that goal, it was necessary to use the web effectively to empower and mobilize the volunteer effort. 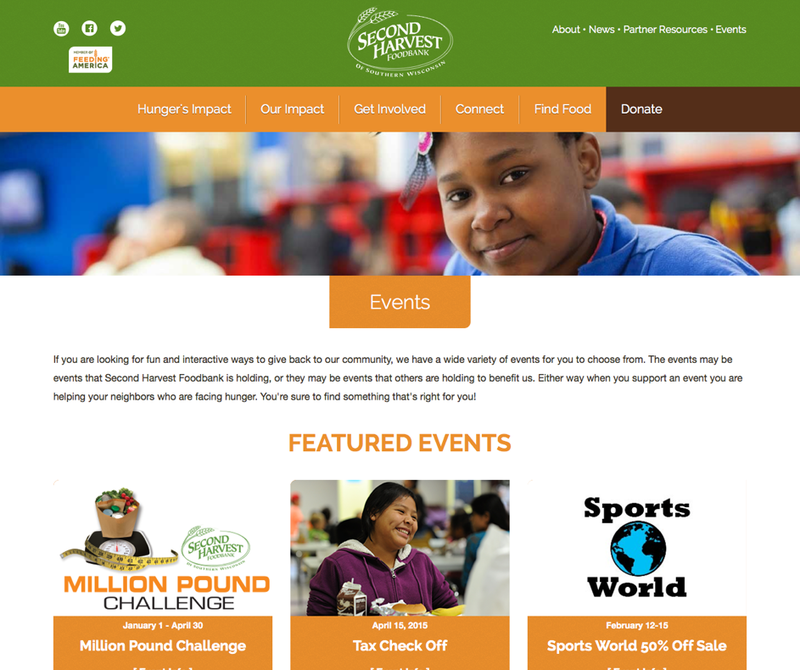 The new Second Harvest Madison site makes it much simpler and easier to give time, money, and food or to participate in events and become a sponsor. That means more hungry families find the help they need.